May 10 - Saturn at Opposition. The ringed planet will be at its closest approach to Earth and its face will be fully illuminated by the Sun. This is the best time to view and photograph Saturn and its moons. A medium-sized or larger telescope will allow you to see Saturn's rings and a few of its brightest moons.May 10 - Astronomy Day Part 1. Astronomy Day is an annual event intended to provide a means of interaction between the general public and various astronomy enthusiasts, groups and professionals. The theme of Astronomy Day is "Bringing Astronomy to the People," and on this day astronomy and stargazing clubs and other organizations around the world will plan special events. You can find out about special local events by contacting your local astronomy club or planetarium. You can also find more about Astronomy Day by checking the Web site for the Astronomical League. May 14: Festival of the Buddha- Wesak Festival. May 14 - Full Moon. The Moon will be directly opposite the Earth from the Sun and will be fully illuminated as seen from Earth. This phase occurs at 19:16 UTC. This full moon was known by early Native American tribes as the Full Flower Moon because this was the time of year when spring flowers appeared in abundance. This moon has also been known as the Full Corn Planting Moon and the Milk Moon. Mars goes direct from May 20 to July 21. May 24 - Possible Meteor Storm. 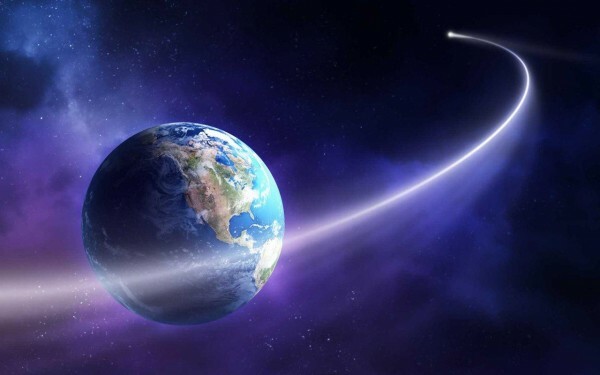 In the early morning hours of Saturday, May 24, the Earth will pass through the debris field left behind by a small comet known as P/209 LINEAR. Astronomers are predicting that this interaction may result in a brief but intense burst of meteor activity that could range from dozens to hundreds of meteors per hour. Nothing is certain, but many mathematical models are predicting that this could be the most intense meteor shower in more than a decade.